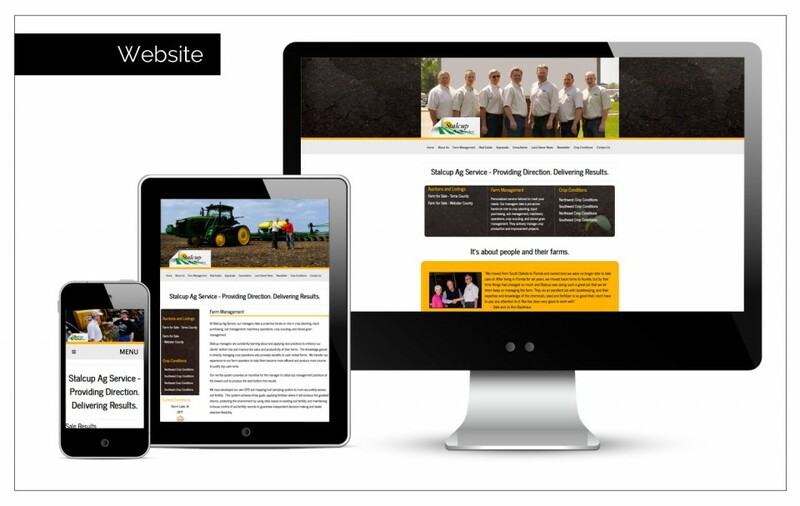 Creative Brief : Stalcup Ag Services in Storm Lake, Iowa needed a website design update. Agency Two Twelve brought in a professional photographer to show off the professionalism and personal touch the farm managers wanted to portray. 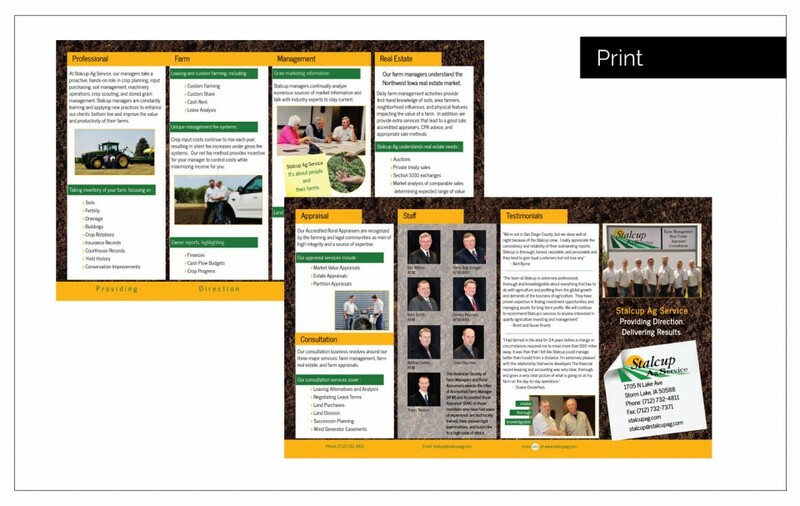 Stalcup also wanted a clean look that their clients could use to find all the great information they share on the site as well as weekly crop updates. The site function lists current auctions and land information.